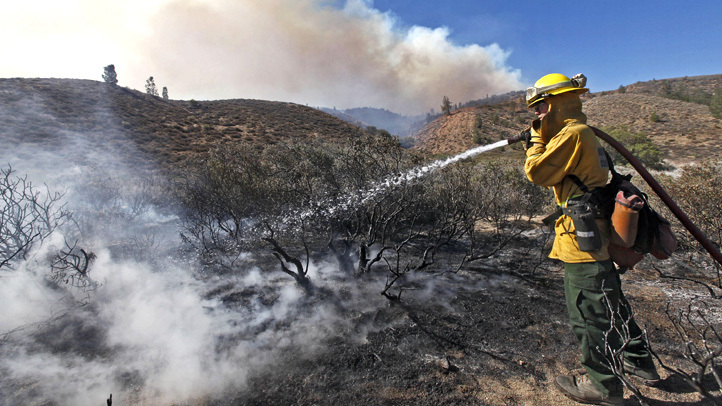 A fire that is burning south of Hollister has jumped to 600 acres as of Tuesday evening, fire officials said. Cal Fire's San Benito-Monterey unit on Monday responded to the Cienega Fire, which sparked near Cienega and Lime Kiln roads in San Benito County. The blaze was 10 percent contained just after 4 p.m. Tuesday, officials said. So far, no injuries have been reported and no structures are threatened, Cal Fire said. The fire agency has deployed 256 firefighters, 26 engines, four dozers, two choppers and two water tenders to the area. Cal Fire officials told NBC Bay Area on Monday that it is difficult for crews to access the flames due to the presence of steep foothills.